Hey Friends! One of the things I look forward to on game-day (besides the commercials!) 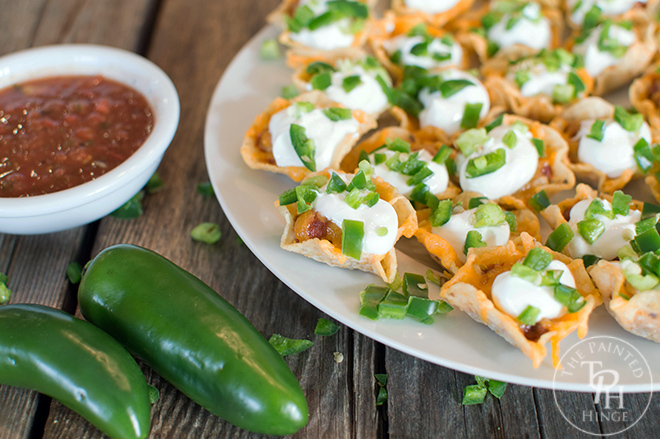 is the excuse to make and eat some great game-day snacks! 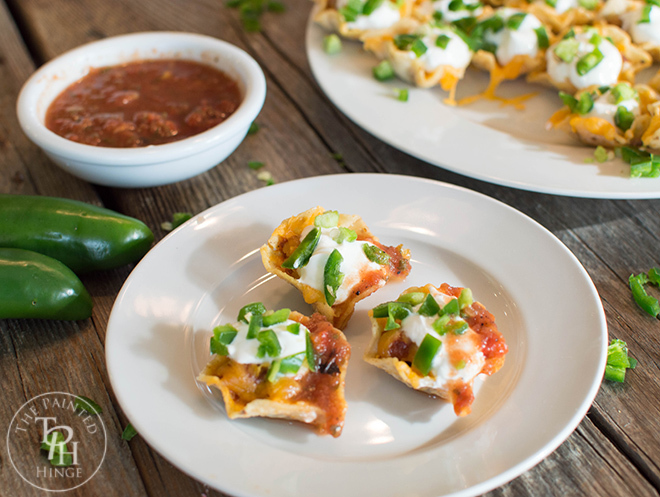 That’s why I teamed up with Hormel Chili to bring you this awesome Chili Cheese Poppers recipe! 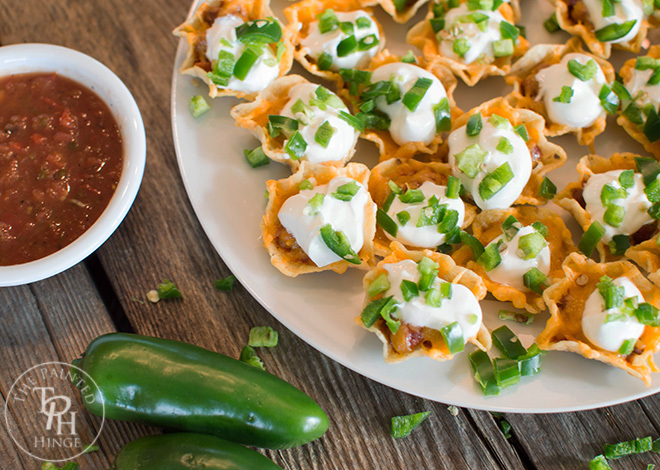 This Chili Cheese Poppers recipe couldn’t be easier! It’s so quick and simple to make and tastes amazing! 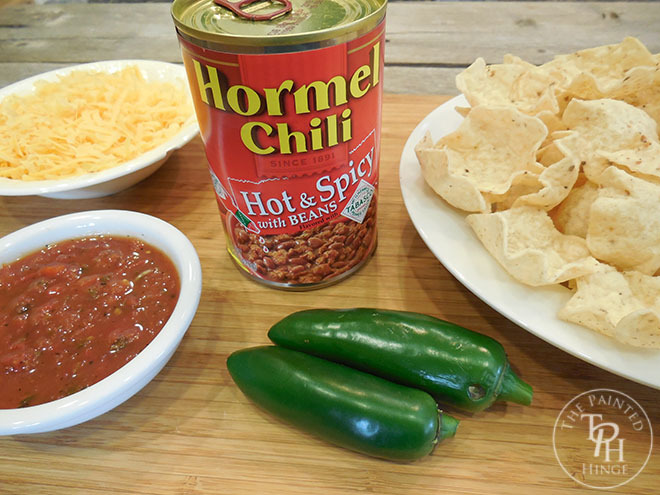 All you need are a few simple ingredients including one of the many great chili varieties from Hormel Chili! 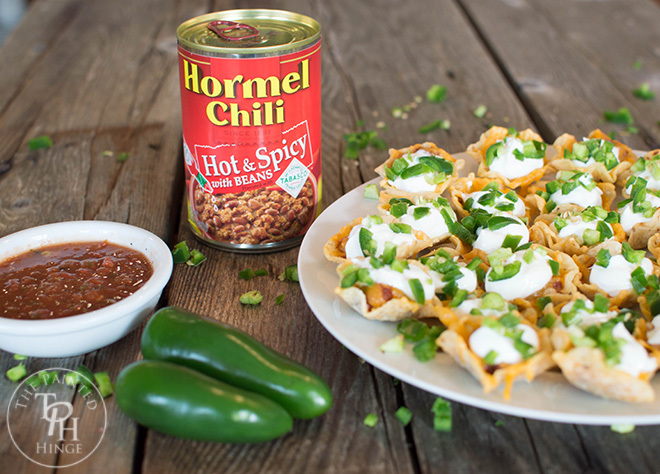 Visit the Hormel Chili homepage! 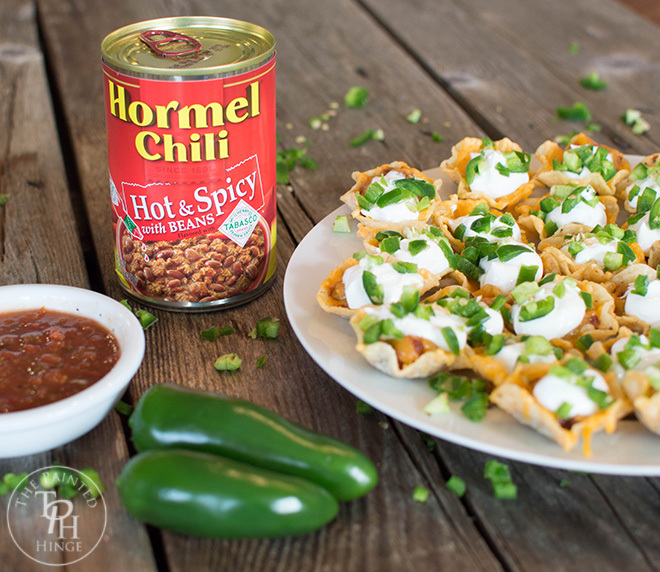 Get a Hormel Chili Coupon! 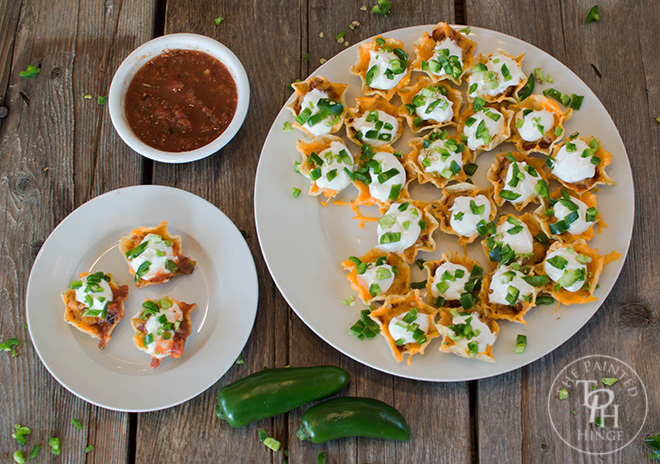 Here’s the step-by-step directions of how to make this recipe! I’ve included the printable recipe at the end of this post. 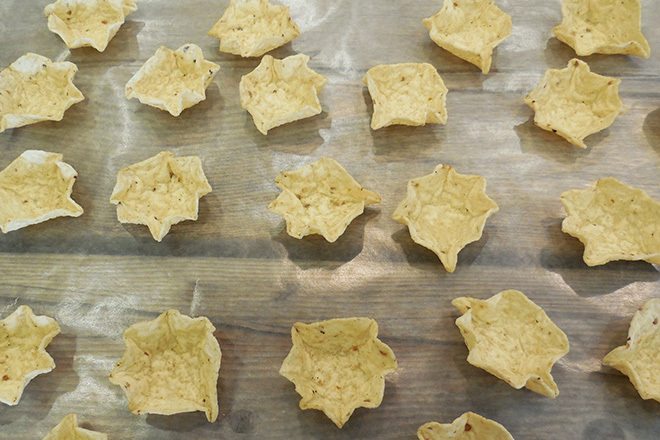 Place tortilla chips on a flat surface (I used wax paper). 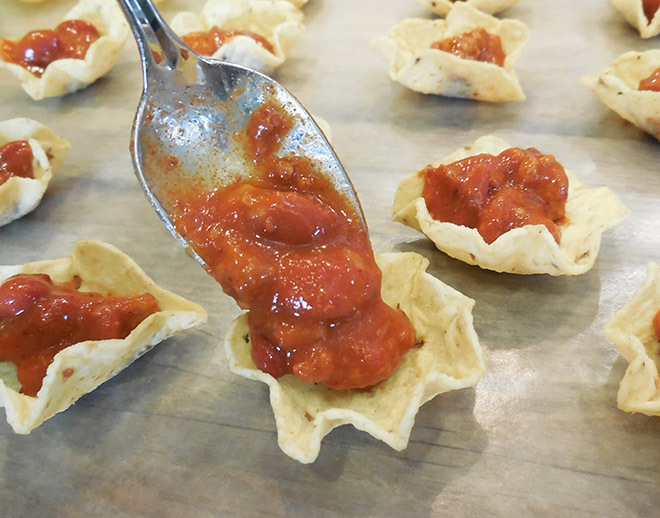 Fill each tortilla chip with around 1/4 teaspoon of Hormel Chili. 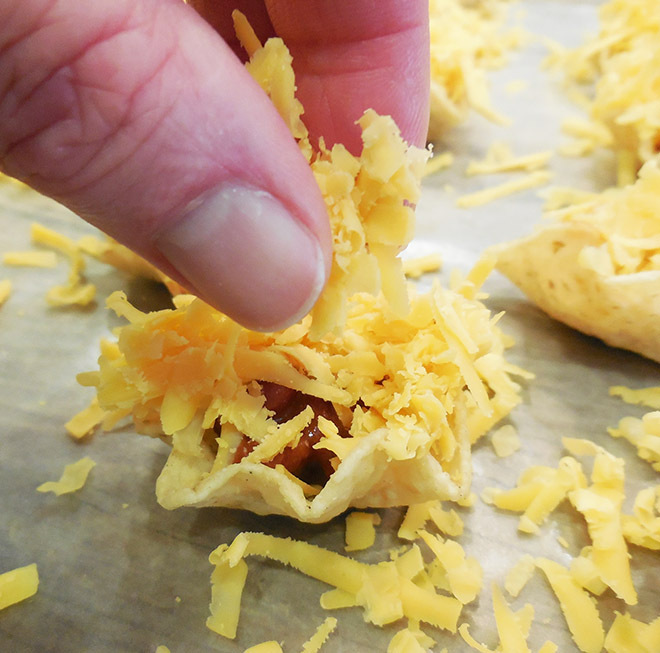 It doesn’t have to be exact; just try not to overfill so you have plenty of room for the cheese! 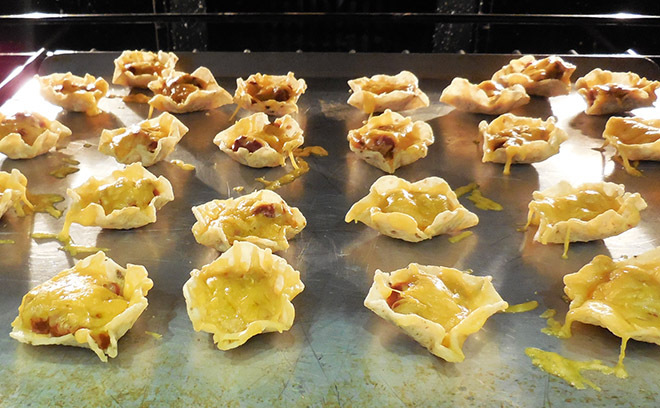 Transfer the poppers to a cookie sheet and bake at 350 degrees for 5-7 minutes until the cheese is just melted. Remove from the oven and let cool slightly. 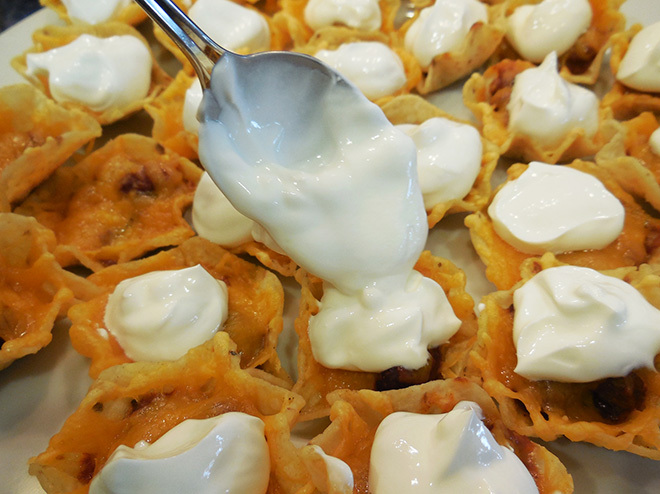 Put a dab of sour cream on top of each popper. 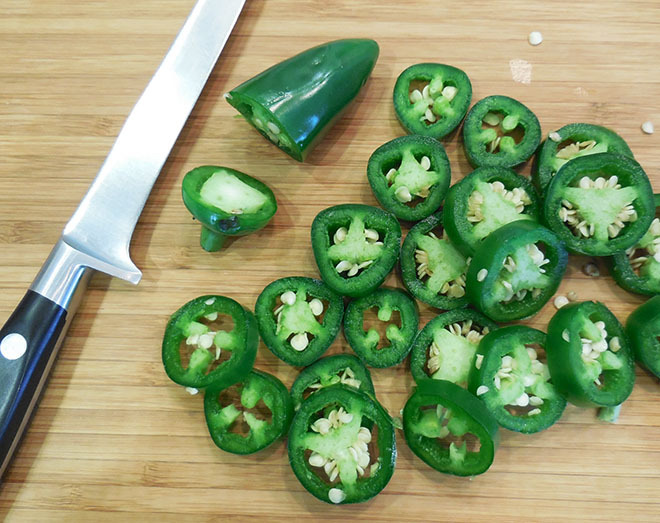 Chop the jalapenos and sprinkle on the poppers for garnish. 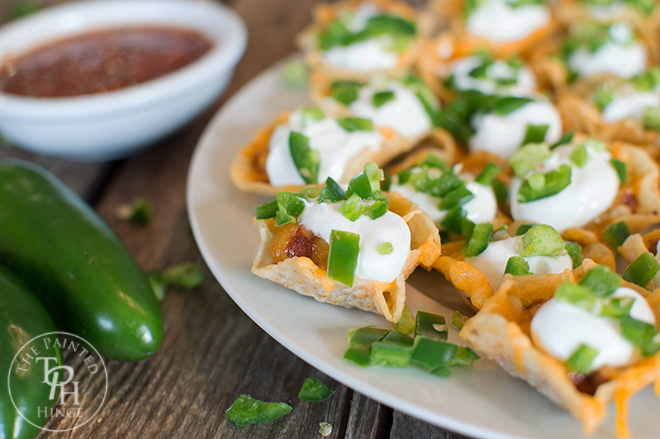 Enjoy this great game-day snack! 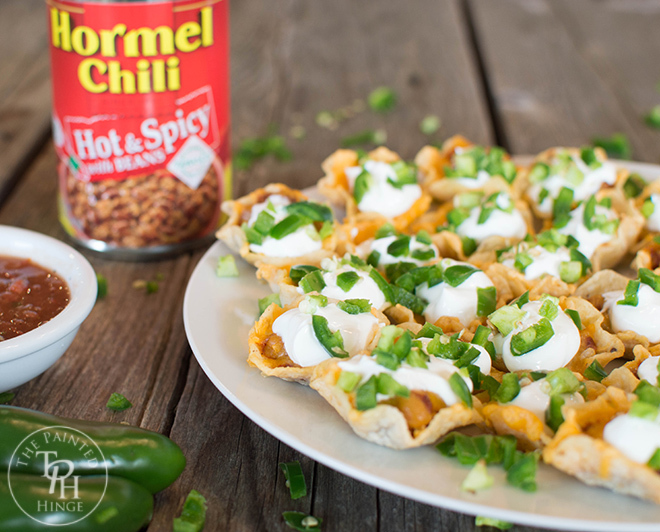 I hope you enjoyed this recipe and the all the great varieties of Hormel Chili to choose from! 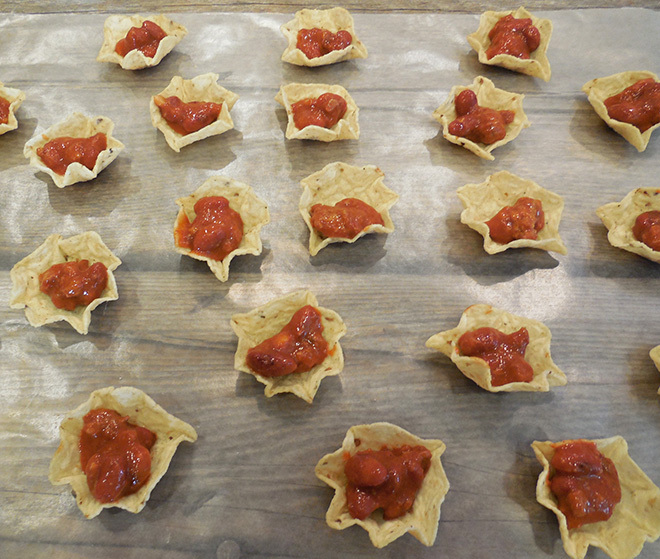 Fill each tortilla chip with around 1/4 teaspoon of Hormel Chili. Fill each tortilla cheese with a pinch of cheese. 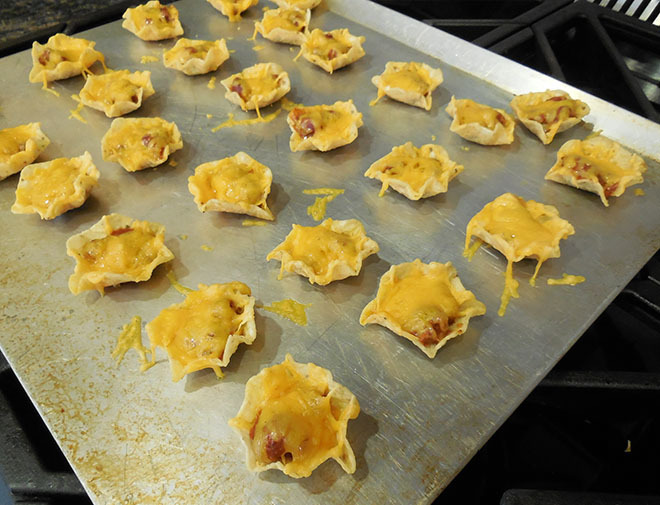 Transfer all the filled tortilla chips to a cookie sheet and bake at 350 degrees for 5-7 minutes until the cheese is just melted. Yummy! Those turned out so cute! What a perfect game day treat! Yum! I think my big game day guests would love this! Thank you so much for sharing your recipe with us at Snickerdoodle Sunday. Pinning and tweeting! Have a great week ahead! Thank you! 🙂 And thanks for hosting Snickerdoodle Sunday! Always a pleasure to link up! This looks yummy and easy thanks for sharing on Submarine Sunday. You’re welcome! 🙂 Thank you for hosting! These look so yummy and quick to do. I think I would eat them all myself! 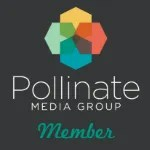 Michelle, Popping over from Brag About It to thank you for linking up! Pinned and tweeted cause a good recipe needs to be shared more than once! Have a great week! Thank you so much Katherine! 🙂 And thank you for hosting! So easy, but sounds so tasty! These sound so good! Thanks for sharing at My Flagstaff Home. Wow, these sure look like little tasty bites of deliciousness! Thanks for sharing at What’d You Do This Weekend?! You’re welcome Joy! Thank you so much for hosting! 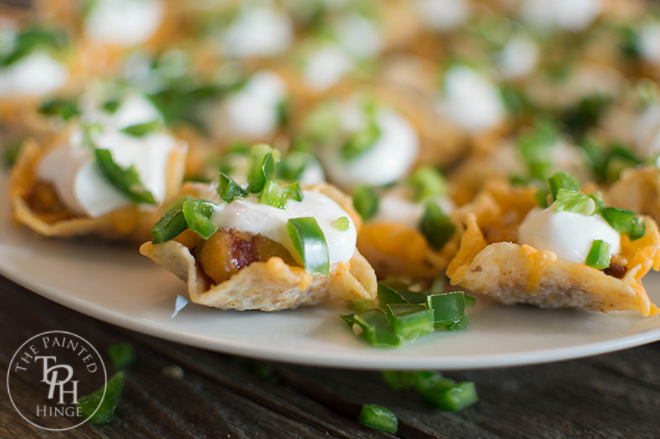 These look delicious and they are my kind of appetizer. Thanks for sharing at the Thursday Favorite Things Blog Hop. They are very tasty hubby gobbled the whole plate up in one sitting! 🙂 Thanks for stopping by Anna!